The Magee TV Diverse Screenwriters Mentorship presented by the Toronto Screenwriting Conference is a mentorship and bursary program designed for emerging diverse screenwriters. This opportunity will give bursary recipients the opportunity to complete a piece of writing, expand their network, sharpen their professional skills, work with established screenwriting professionals and producers, polish their pitching skills – all with an aim at bringing new perspectives to Canada’s creative industries. Five diverse screenwriters will be awarded. The award provides each winner with a complimentary registration to the 10th annual Toronto Screenwriting Conference (TSC) (May 4-5, 2019), plus two exclusive evening events with Magee TV founder Al Magee and the mentoring team, a three-month mentorship (total of five one-hour meetings, conducted in-person or remotely through Skype, or phone) with established Canadian screenwriting professionals, and an opportunity to pitch concepts for feedback to Canadian Broadcast and Distribution executives. Emerging screenwriters must apply to the Program with an original concept for a television series, or feature film. Applicants are asked to include the following information in the form of a complete package. Please note that incomplete packages will NOT be reviewed by the jury. ? Please provide the following enclosures in your application:? When collating your application, please ensure that you submit your package in three PDFS. Magee TV Inc. and Toronto Screenwriting Conference would like to thank you for your submission. Only those selected to receive the Magee TV Diverse Screenwriters Mentorship Award will be contacted. How does the TSC define Diverse for the purposes of this application? Applicants are encouraged to apply as diverse candidates based on race, ethnicity, sexual orientation, and physical abilities. Applicants are asked to self identify on the application form. The jury is comprised of the mentors. Each mentor will select the project/person that they will be working with. A full list of the mentors will be announced soon. Does the writing sample need to be the same original concept? Yes. The sample should represent your best work, and the project you would like to develop with your mentor. The program expects the writers to complete a piece of writing to a professional level to be pitched to industry professionals. Will the TSC be able to cover the cost of travel? No, however the TSC can make recommendations, and provide assistance in helping secure grants to attend the conference. The TSC also works with hospitality and travel partners to help reduce the cost of travel. More details will be made available to award winners. What is involved with the pitching opportunity? Part of the mentorship will be to work on your pitches. Polishing and perfecting your pitch skills, award winners will have the opportunity to pitch to broadcast and distribution executives for feedback. Award winners will learn to hone and perfect their pitching skills. The pitch session will be held towards the end of the mentorship at a private reception with all award winners, mentors, and the pitch jury. What are the evening events with Al Magee and the mentors? As a kick-off to the mentorship experience, Al Magee will host a welcome reception with all of the award winners, mentors, and key partners of the initiative. This gives our award winners the opportunity to connect and build a new community of like-minded writers. The second evening is a pitching event at the end of the program. When will I know if I received the award? All award winners will be notified by the 30th of April. The TSC makes every effort to contact all applicants to let you know whether or not your application was successful. Can I apply for the Magee TV Diverse Screenwriters Award and the Telefilm Canada New Voices Award? Yes, applicants are encouraged to apply for both opportunities. Award winners may only receive one of the awards though. Separate juries adjudicate the two awards. Can I submit more than one application to the Magee TV Diverse Screenwriters Award? No, applicants may only submit one application so please make sure it represents your best work. Should I buy my pass during Early Bird to secure the best rate in case I don’t win? No. The TSC extends an Early Bird rate to all applicants. Apart from winning the award, why else should I apply? The jury selects five award winners, and selects five runners-up (making up a top ten). 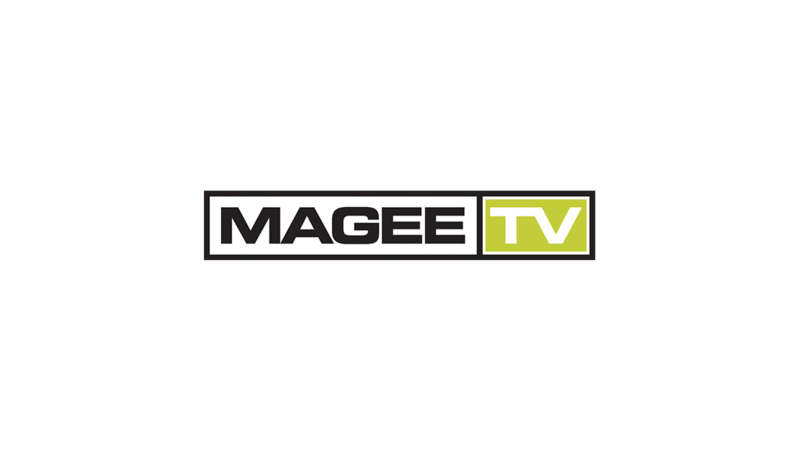 Magee TV has sponsored a special discounted rate of $100 off of the cost of Early Bird rates for the five runners-up. Can I apply this year if I applied last year and was unsuccessful? Can I get feedback on my script? Due to the high volume of applications, we cannot give individual feedback on any script. Is there ANY circumstance that would allow me to have an extension on the submission deadline? No. To be fair towards everyone who submits, extensions will not be granted. If I'm part of a writing team, do we each need to submit an application? No, teams should submit ONE personal statement expressing their views.